The premium sound and iconic design of B&O PLAY will spark emotions in the all-new Ford Focus, scheduled to go on sale September 2018. Building on the longstanding partnership between Ford and HARMAN, the Fourth Ford Focus generation provides an opportunity for HARMAN to demonstrate its superior sound quality at select consumer, press, and trade events over the summer. Ushering in a new era of technology, comfort, space, and driving pleasure for Europe’s mid-size car customers, the new Ford Focus also introduces a new human-centric design philosophy that melds emotional exterior styling with leading-class aerodynamics. 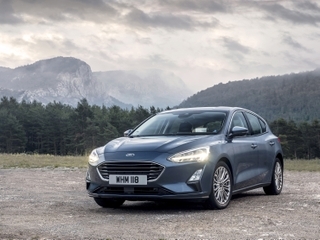 The Ford Focus line up is the most comprehensive ever, with different personalities such as the stylish Ford Focus Titanium, the sporty Ford Focus ST-Line, the upscale Ford Focus Vignale and the first Ford Focus Active crossover. And when it comes to sound, the B&O PLAY Sound System delivers pure listening pleasure for all passengers, enabling them to get the most out of their music. The system is customized to blend seamlessly into the spacious premium interior of the vehicle and delivers great sound coupled with an exhilarant driving experience in every driving situation. Precisely tuned to achieve optimal sound performance, the B&O PLAY Sound System provides 675 watts of total amplifier power and features 10 high-performance speakers powered by 9 channels. A Digital Signal Processing amplifier (Adaptive Volume, Surround Sound, Power Manager) and static and dynamic sound tuning ensure a consistent listening experience inside the car regardless of road conditions. 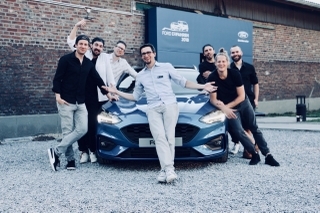 At a recent experiential event built around the theme ‘Connecting Music Makers with Music Lovers’, guests enjoyed listening to a rousing live band transmitting their sound directly through the B&O PLAY Sound System in a Ford Focus parked outside the concert hall. Members of the audience could alternate between the stage area and the interior of the car, where the concert was streamed live to the car’s sound system. While watching the band play on a tablet screen, the passengers in the car discovered that the sound experience in both venues was of the same extraordinary quality. The all-new Ford Focus is the latest example of the way Ford and HARMAN are bringing the transformative power of music to the car, elevating the commute and ensuring that every passenger hears the message, feels the bass, and loves the moment they’re in. 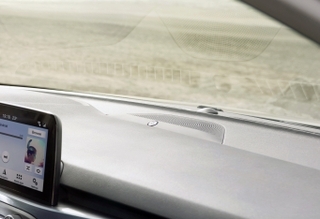 The B&O PLAY Sound System can be ordered as an upgrade in the new Ford Focus.